The only time consuming part about making pumpkin soup is peeling the pumpkin but today for the first time cutting pumpkin was a breeze. Got a new handy tool just for dicing pumpkin. The seesaw blade was great, ploughed through that pumpkin like it was butter. 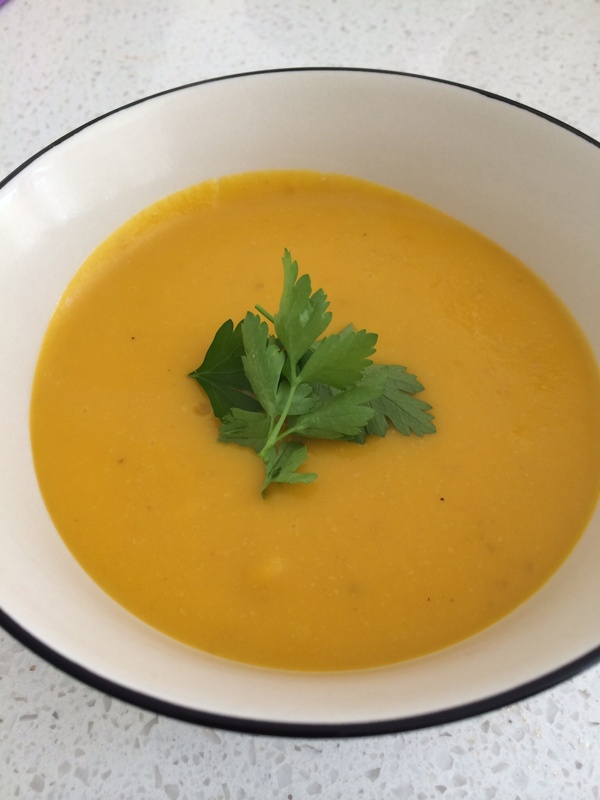 Used this recipe from the community because it had the highest rating with 66 positive comments and it used 800g of cut pumpkin instead of only 500g in the thermomix guided recipe. Also had some potato and carrot added and a pinch of curry powder and garlic. Almost like our family favourite recipe except we also add an apple which brings a lovely sweet depth to the soup. Dad and Miss 8 preferred the new recipe whilst Mum and Miss 14 preferred the apple added. With either recipe the soup is done in 25 minutes, and blitzed into the smoothest, silkiest soup. Enough for lunch and to freeze for after school snacks during the week.